And the list begins. Vampire Weekend released its third studio album in May of this year, and it immediately received laudation from many mainstream/underground music critics. Heralded as an ode to bildungsroman, Vampire Weekend certainly put out a comprehensive and potent release that played on themes of growth, religion, and relationships. 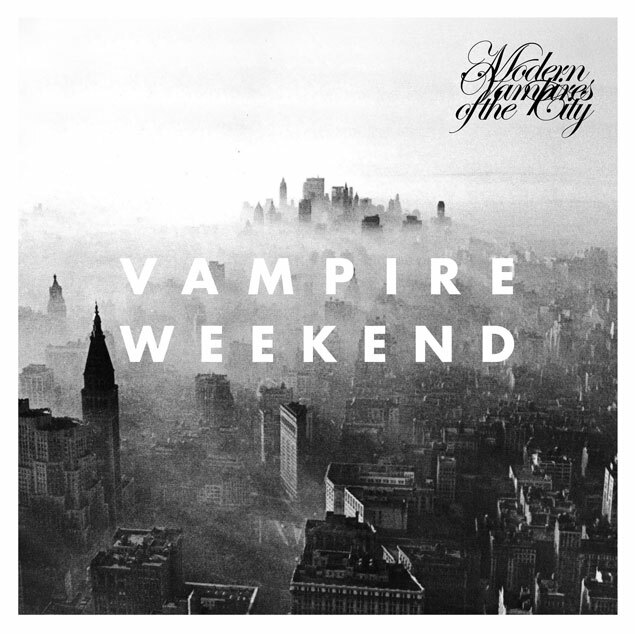 The album, Modern Vampires of the City, has found its way into the top five of Stereogum and Spin’s end-of-the-year top albums chart and has reached number one on Rolling Stone’s top 2013 albums chart. It was a good year for Columbia-educated English major Ezra Koenig and his band of undead brothers. While many who are familiar with the album might be surprised that I did not choose the effervescent Yahweh-inspired pop piece, “Ya Hey,” which pulsates with a taciturn MGMT rhythm, I hold firm that it is not the best song on the album, and thus not on this list. “Unbelievers,” the new album’s third single, is a bubbly track that effortlessly combines early rockabilly with cogent lyrics, and because of its musical diversity and thought-provoking lyric it earned a spot on the countdown. Koenig goes on to question whether holy water contains “a little drop for me.” It’s a concise portrait of an individual who is bound to die an unbeliever (without religion). This explicit religious bent may serve as broad symbolism of an album-wide theme of relationship. Nice, philosophical words from Koenig. New to the Music Court’s annual Top 10 Songs countdowns? Check out the full-song in-review of The Top 10 Songs of 2010 and The Top 10 Songs of 2011. Tune in Wednesday for song #9.